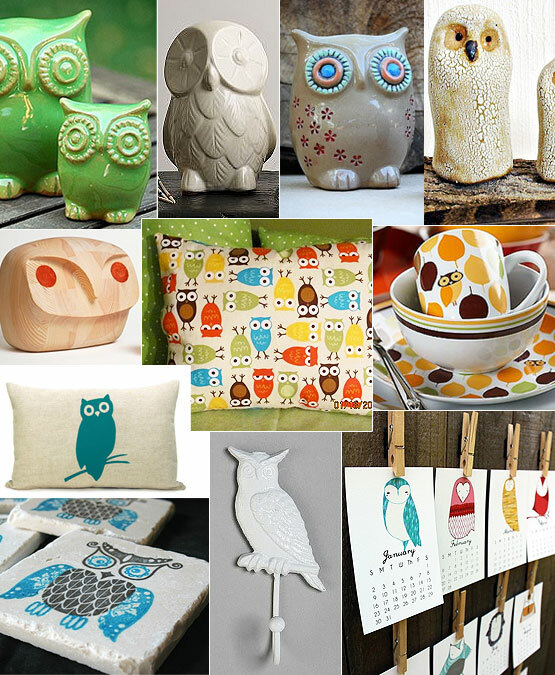 The owl and bird trend in general, is not slowing down. At any rate it's expanding with every which way it can. 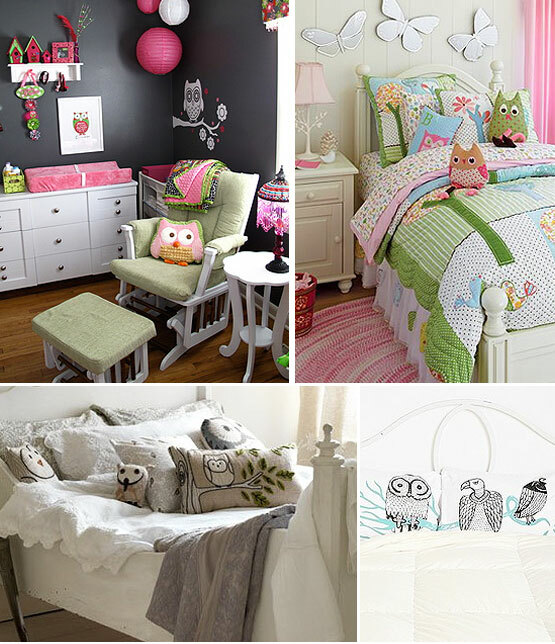 Other flighted creatures can also be seen in home decor in continuing trends, such as the little "blue bird" but owls seem to be on a branch of their own. 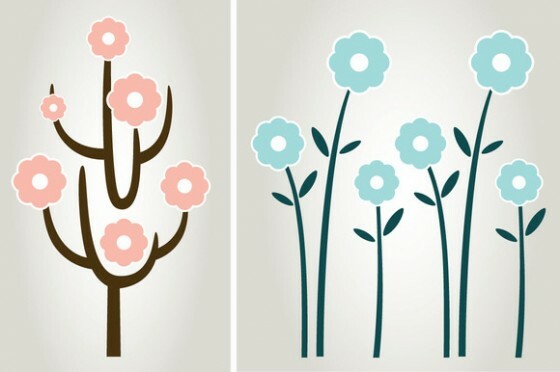 Wall decals and wall silhouettes with paint are not super new, but more recent trending is the art of the family tree, literally. 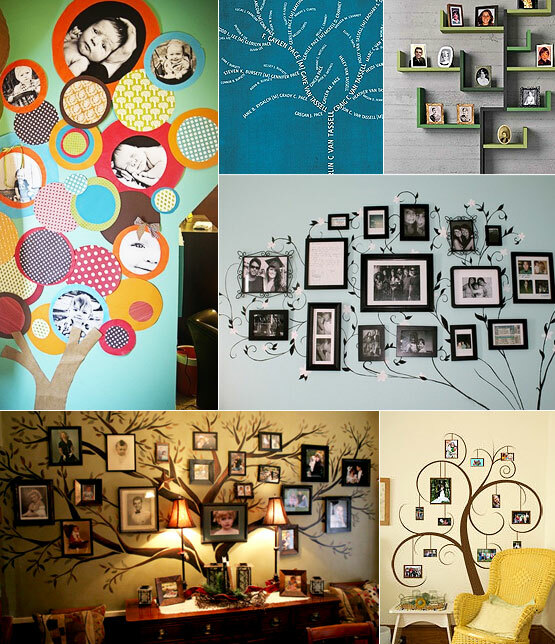 Family tree, wall art is something to look out for more of in 2012. Patterns, patterns everywhere! There is also no shortage of big bold colorful stairs with a variety of messages leading up or down the steps. Why wasn't this a fad 20 years ago, it's so simple? If all else fails, go with stairs and a slide! I love how minimal, yet fun this set of stairs look. I love how this area is centered around the kids in the house, noting that there is a slide with a huge arrow pointing downhill. I could see many hours being spent here! Boy have ruffles really been hot the last year or two and they're only getting hotter and more varied. 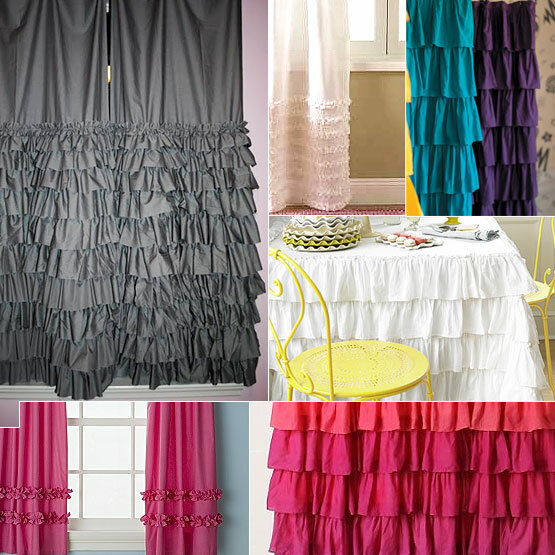 Pre-ruffled fabric, now available to everyone, has been taking fashion and home decor enthusiasts by storm in 2011. In the past, ruffles have more traditionally been a seen on the fashion scene or when done with interiors in the 90's on fairly tasteless fabric (to our generation) and nothing like what's happening now. People love ruffles so much that it seems they have been incorporating them anywhere possible! 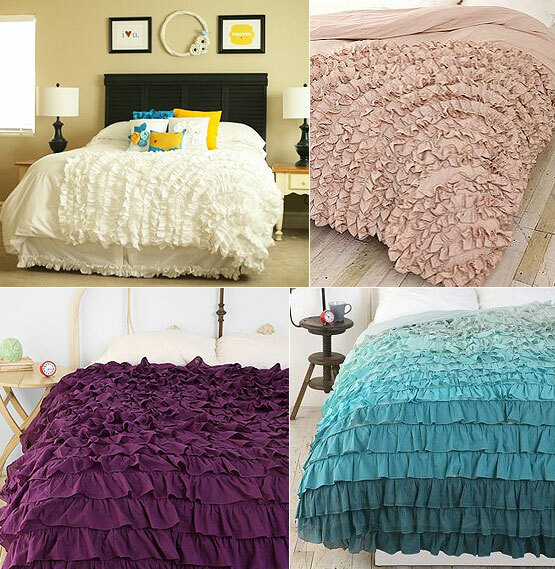 From throw pillows, bed spreads, curtains, you name it, it can be covered in ruffles! 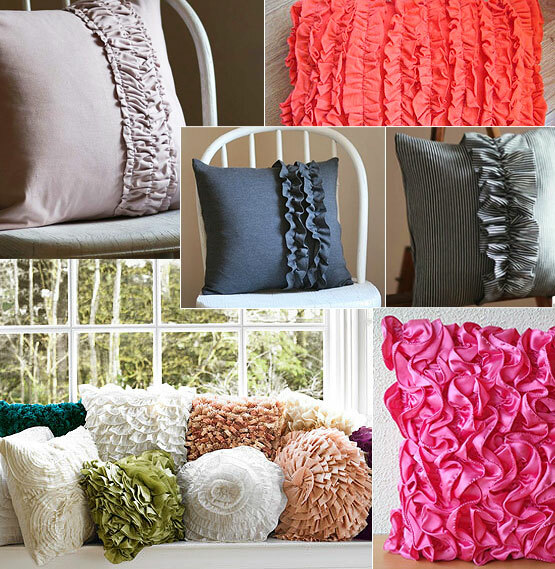 What a great way to add physical texture to your home, but personally, take in to consideration that too much ruffle could happen. The year is sure to bring on some exciting changes as well as morph and continue some of the quite popular trends of 2011. 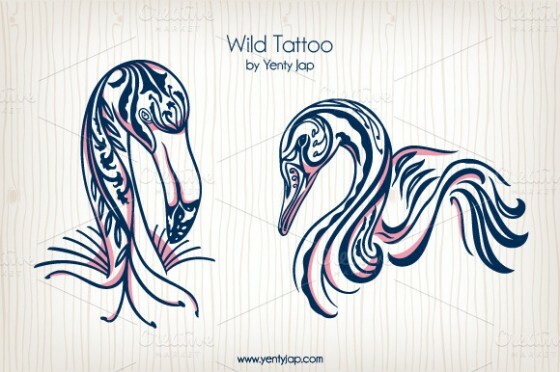 Do you see any brand new trends for 2012 to claim all by itself? 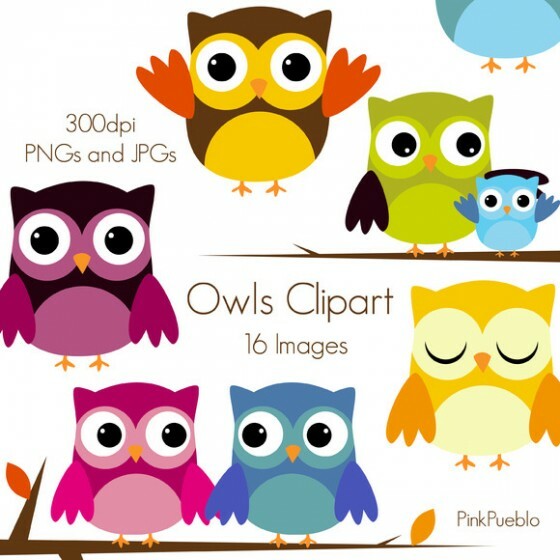 Were you looking for some digital assets to add to your decor? Check out Creative Market for some awesome downloads. I don't know about the owls - I feel like they're already overexposed. Of course, that doesn't mean that the trend won't show up everywhere on the mass market anyway! Love the decorative stairs, especially the ones with different patterns on each riser. Although I definitely agree that they are swarming every possible outlet possible, be that: Home Decor, Fashion, Art, Crafts, Business Names.... etc... I still can't help but like them. I do wonder what it is about fads like this that simply take over ones brain. I think that they will continue to be highly liked, but I'm not sure there is any farther up they can go, people are making them out of everything from Cardboard, to metal scraps, to felt and fabric. What else could there be? It's fun to try to find clues to what might be seeping out in popularity. 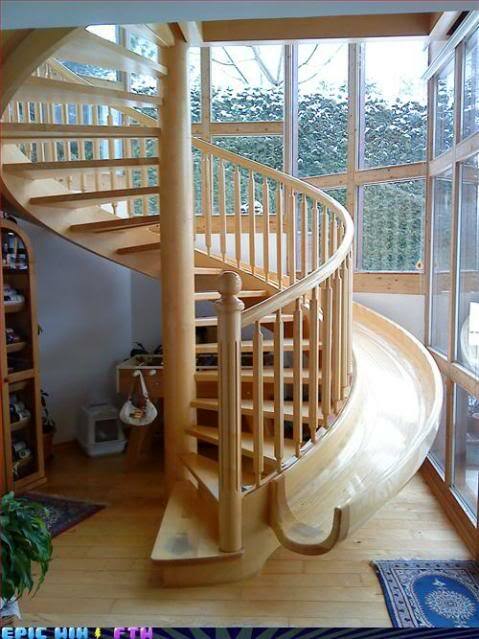 @caori I would love to have a house with stairs AND a slide!! I definitely agree. 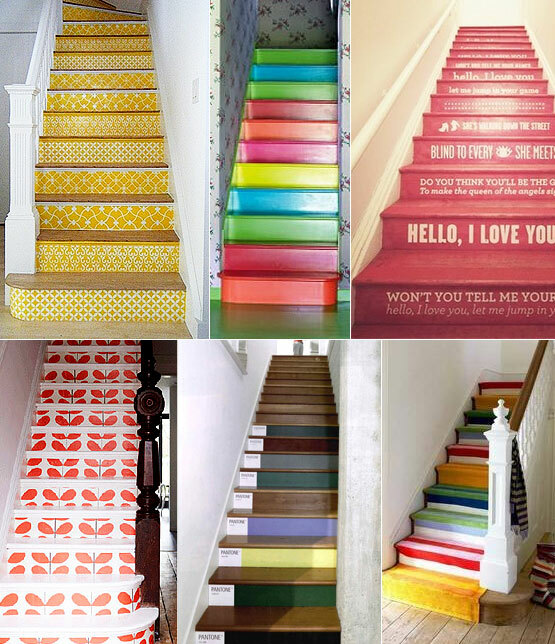 A normal set of stairs would be fun to decorate too! Thanks for the fun pictures! 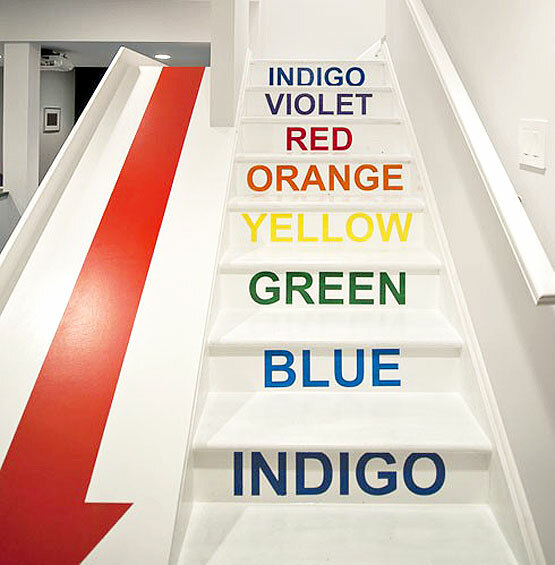 The idea of colouring the vertical side of the stairs is just so brilliant !!! It seems so simple and gorgeous, why didn't think of it before ? I know!!! absolutely so simple, it seems like, DUH! ;) Now I REALLLLY want some stairs! Red foxes are also a little-creature force to be reckoned with -- I see them everywhere: apparel, home decor, crafts, wall art, ceramics, jewelry... once you start looking, you'll see them everywhere too, lol! *Sighs* I remember owning a ruffly white blouse very similar to that See&Sew pattern when I was younger. (Yeah I also do recall that Pirate shirt episode from Sienfield as well!) I like ruffles but only in very small doses! I can see a few pillows, but not the curtains and bedspread. I couldn't do a whole room with ruffles. 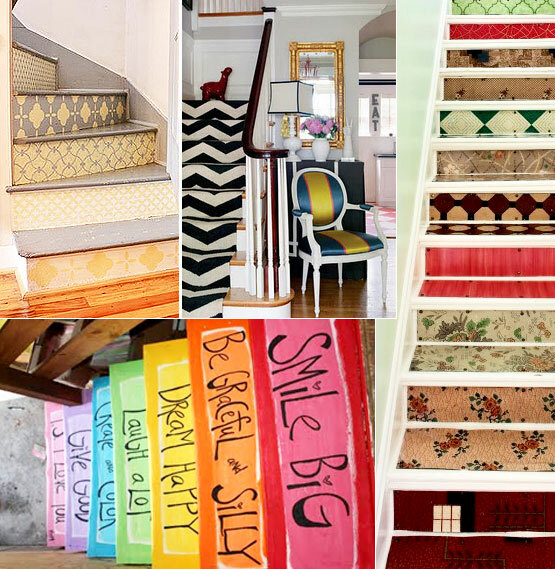 The staircase ideas are so cool! Also the slide option..Almost like living in a amusement park! The wall art collection is definitely picking in.. everyone is making their family tree part of their living room decor. @VitaminD81haha we are all showing our age! By a "raise of hands" - who wore the "pirate blouse" ? lol I wore it in middle school. It was my most treasured shirt ever, I thought I was so grown up.